Q 1: Balanced fertilizer used at the macro level in India is generally equated with a nutrient consumption ration of? Q 2: Which one of them is/ are bio fertilizers? Q 3: What is the contribution of pulses to wholesale prices inflation (WPI) ? Q 4: Arvind Subramanian committee is made for ? a) Enhancing domestic productivity rapidly as the only reliable way to minimize price volatility, safeguard interests of both consumers and farmers. b) It recommends that Union Cabinet should swiftly go ahead to create buffer in pulses that include 3.5 lakh tonnes tur dal and two lakh tonnes urad dal. c) It talks about gradual increase in minimum support price (MSP) on pulses over next three years has also been accepted to enable farmers realise better prices on their produce. Q 5: What is the India’s rank in producing edible oil? Q 6: India produces which percent of world oil seeds? Q 7: Which edible oil is imported to India in maximum amount? 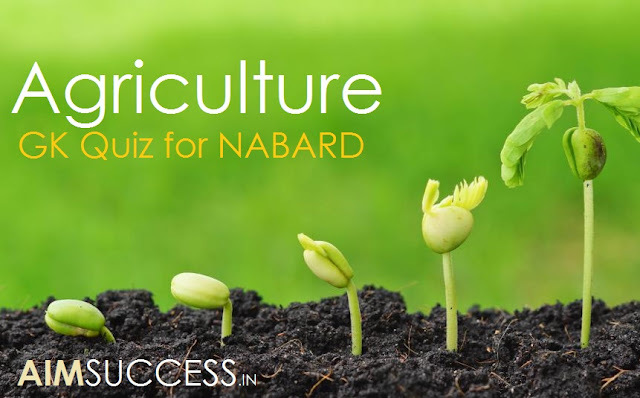 Q 8: Which oilseeds crop is grown in Rabi season? Q 9: What is the ideal Ph range for Pluses? Q 10: A rough seedbed is good for which pulse?